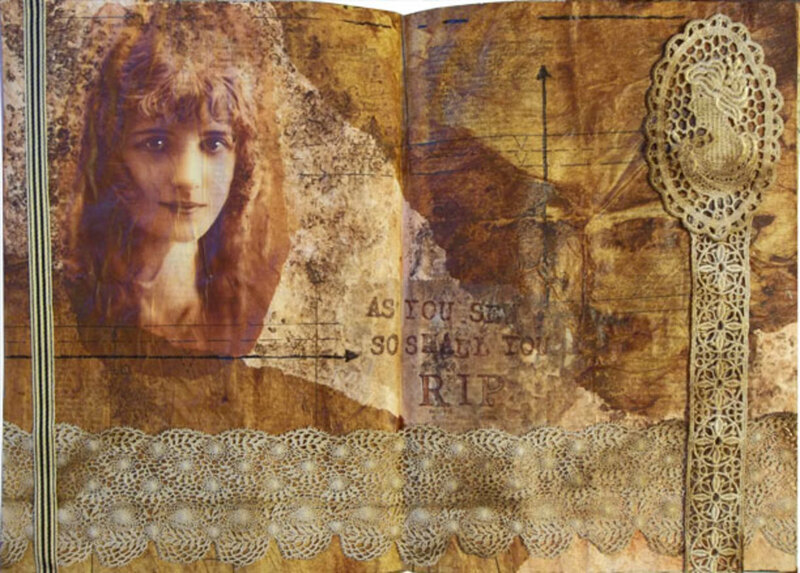 Lisa Vollrath is a prolific mixed-media artist whose work includes altered books, art journals, collage, gluebooks, and paper crafts. 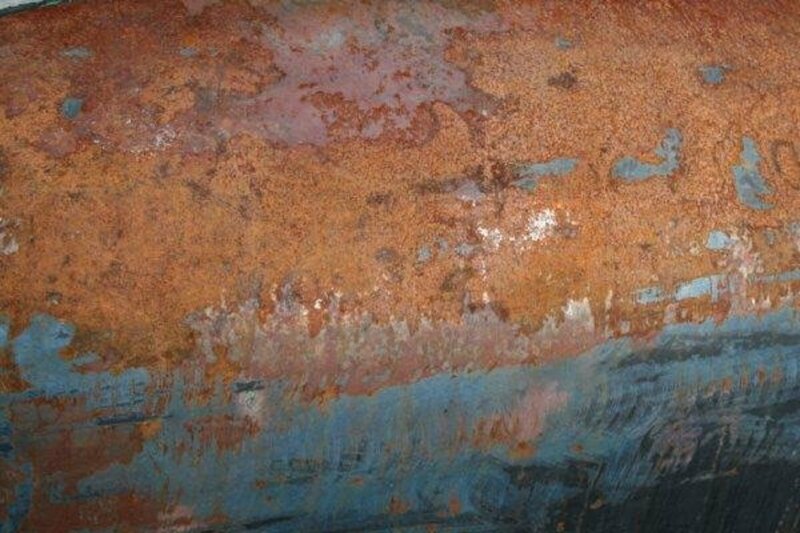 Rust is the common word for oxidation, which occurs when oxygen comes into long-term contact with certain metals, and corrodes them. If the base metal is iron or steel, the resulting rust is properly called iron oxide. The main catalyst for the rusting process is water. While iron or steel may appear solid, water molecules can easily penetrate the microscopic pits and cracks in any exposed metal. The hydrogen atoms in water can combine with other elements to form acids, which will eventually cause more metal to be exposed and corrode. If sodium is present, as is the case with salt water, corrosion will likely occur more quickly. Oxygen atoms combine with metal atoms to form a destructive oxide compound, and as the atoms combine, they weaken the metal, making it brittle and crumbly. Water alone does not cause steel to rust, but the acidic reaction allows oxygen to attack vulnerable exposed metal. Don’t you wish you’d paid more attention in chemistry class? Assemblage artist Michael DeMeng is the king of using rusty objects in artwork. If you are a lover of all things rusted, you'll enjoy his book, The Secret of Rusty Things. It's filled with lovely photos of his work, and instructions for many of the effects he creates in his pieces. If you want to rust things like paper or fabric, it helps to create rusting plates. 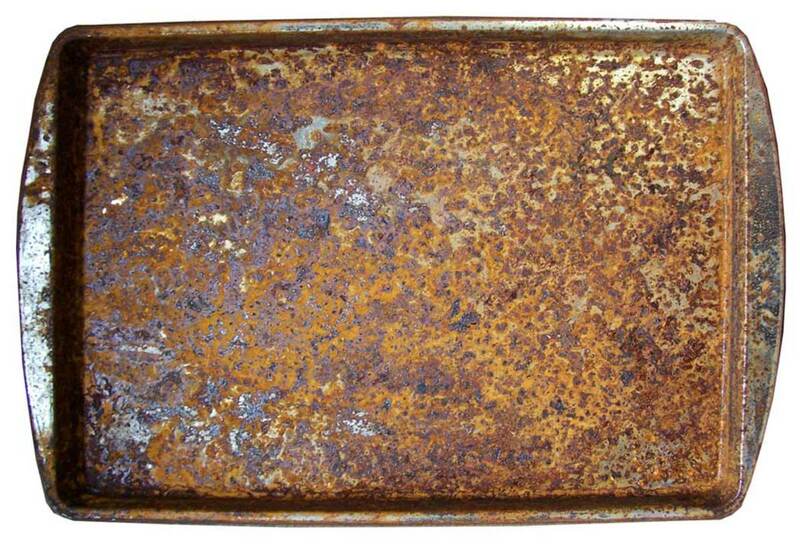 These are flat sheets of steel or iron that have been through a simple chemical process that has accelerated the rust. I hunted around for cheap, flat sheets for rusting paper. My criteria was that the sheet had to be big enough to hold a letter-sized or larger piece of paper, and easily stackable, because I don’t have a lot of room to dedicate to rusting things. I tried the hardware store first. Metal flashing looked promising in my head, but in reality, it’s either galvanized steel (which doesn’t rust) or aluminum (which also doesn’t rust). There was some uncoated sheet steel available, but it was very expensive. The solution sort of hit me accidentally. I’m really hard on my kitchen baking pans and cookie sheets, because I like to roast vegetables tossed with olive oil in the oven. No matter how careful I am, they always seem to end up coated with oil that’s been burned onto the surface. When they get so brown and nasty that I can’t bear it, I banish them to the garage---where they are exposed to the brutal humidity and heat of Texas weather. After six months, they’re no longer brown. They’re bright orange and rusty. 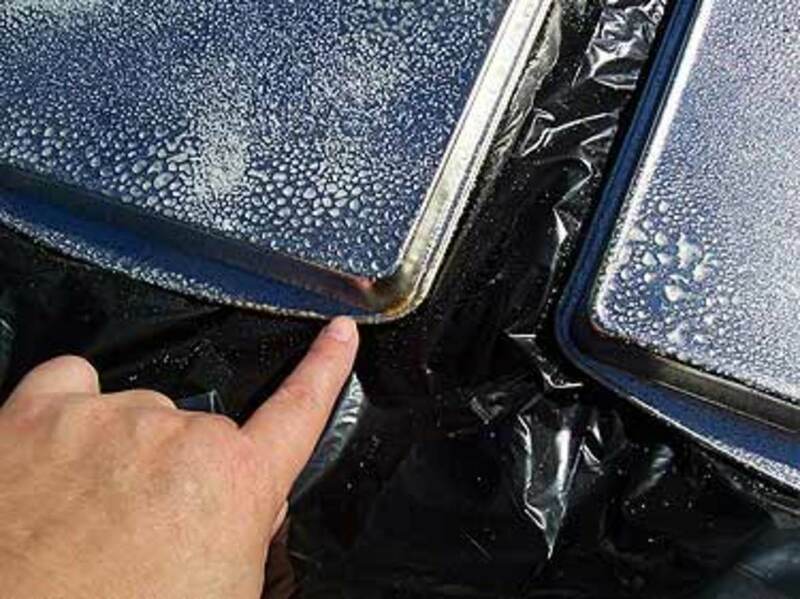 Cheap steel baking pans---plain steel, not galvanized or sealed or coated with Teflon---are the ideal surface for rusting papers. 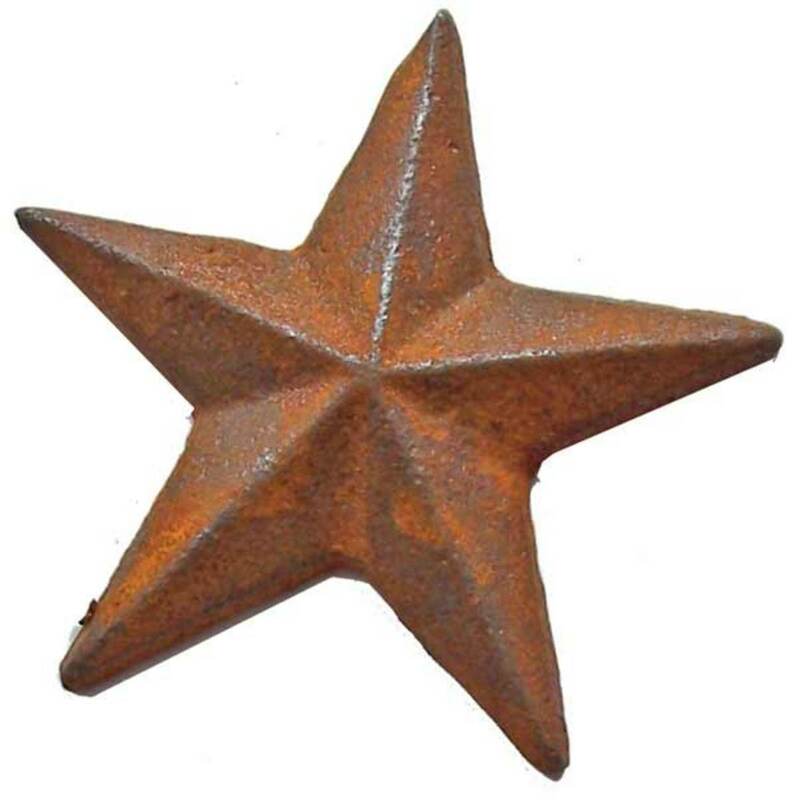 Never create rust close to metal items you want to keep intact. For example, I don't create rust plates in my garage, because there are power tools in there I'd like not to end up rusty. 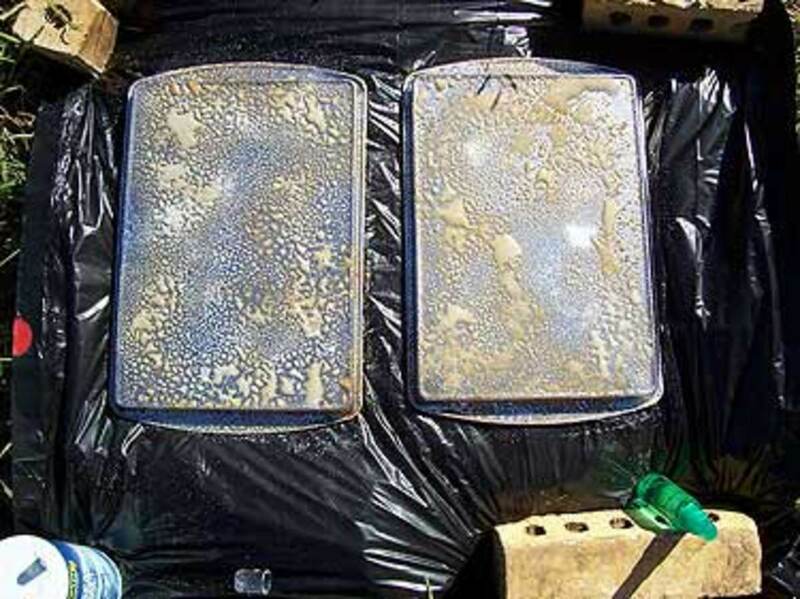 Even if you cover your work space in plastic, it's possible that the fumes from the various solvents will go to work on metal items in close proximity. If possible, work outside. Do not breathe the mist from peroxide or vinegar sprayers. Even though they're both non-toxic, they can be irritating to the eyes and nose. Wear a mask and safety goggles. Wear gloves, and be careful of getting rust in any nicks and cuts on your hands. An up to date tetanus shot might be a good idea if you're going to handle a lot of rusting plates. Do not use your kitchen or bathroom sink to rinse rusted items. Use a hose, and a plastic tub or bucket. Pour off the resulting rusty water in a dead spot of your garden. Store finished rust plates completely dried, in a plastic bag, to protect the rust from spreading to any adjacent metal objects. Steel sheets. I used cheap steel cookie sheets from the dollar store. A liquid. I’ve rusted with three different liquids: tap water, hydrogen peroxide, and vinegar. Water works slowly, but is the least expensive and most readily at hand solution. Peroxide is sold in any drug store, usually in brown plastic containers. It rusts metal a little faster, and doesn’t smell too badly when you spray it. 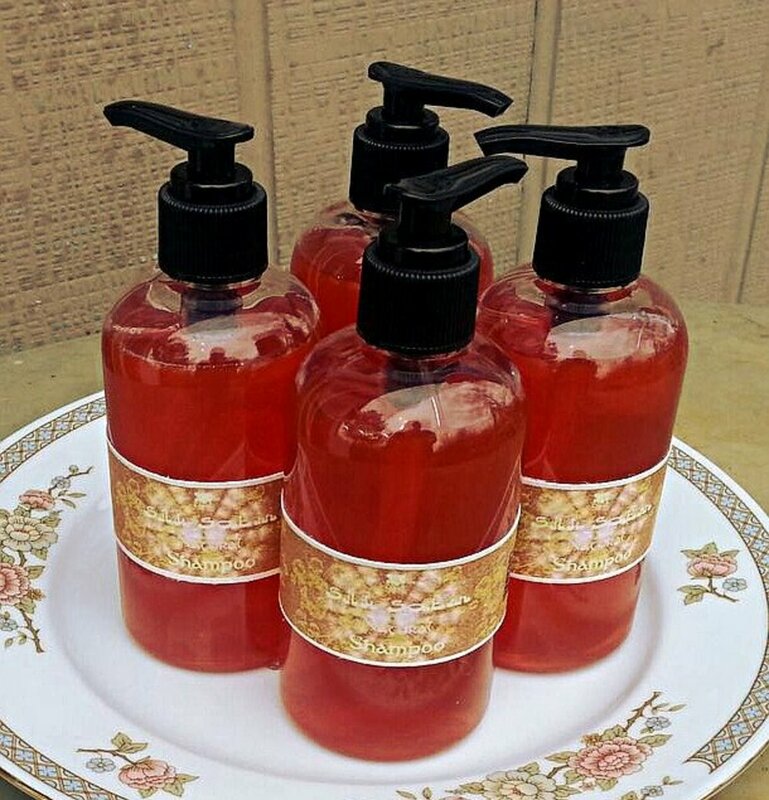 Vinegar is also inexpensive, and the fastest solution, but also the smelliest. Spray bottles. Buy cheap ones at the dollar store if you can, because they’ll be ruined for any other use. 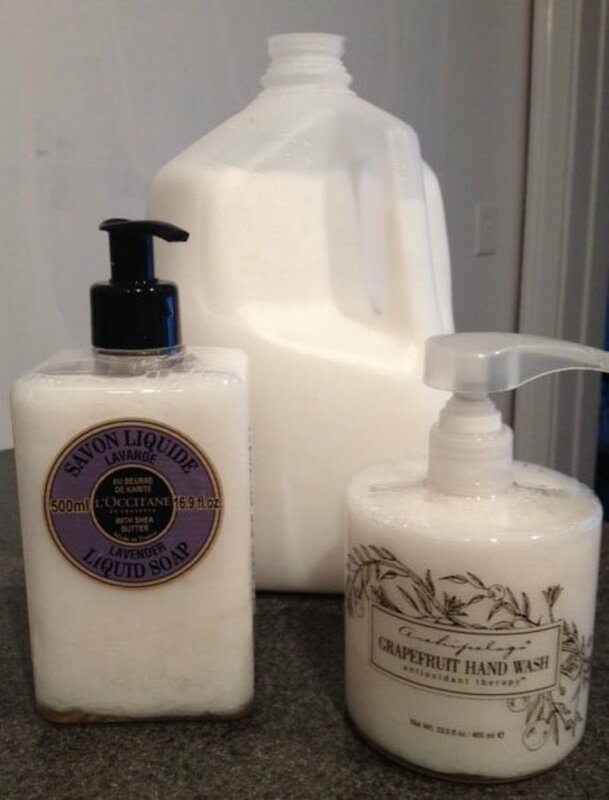 Get one for each liquid, and label it clearly. I label by color: blue is always water, green is vinegar. I bought spray peroxide in a brown spray bottle, and keep refilling it with the less expensive jumbo bottle. Salt. Sea salt is awesome, but table salt will work, too. Plastic to cover everything in sight. Rust is one of those things you want to confine as much as possible. Find yourself a nice non-metal surface, away from any metal things, and cover it in plastic. I work outside, on brick covered with plastic, because the weather is almost always nice enough. Water and a rinsing bucket. You do not want to rinse anything associated with rust inside your house. 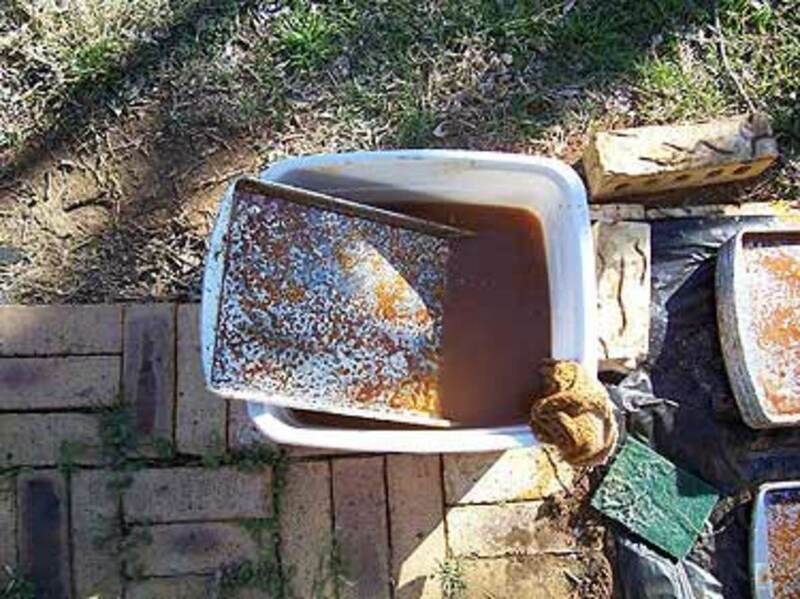 Fill a bucket with water, rinse rusty things in the bucket, and pour the water off in a dead spot in your garden. 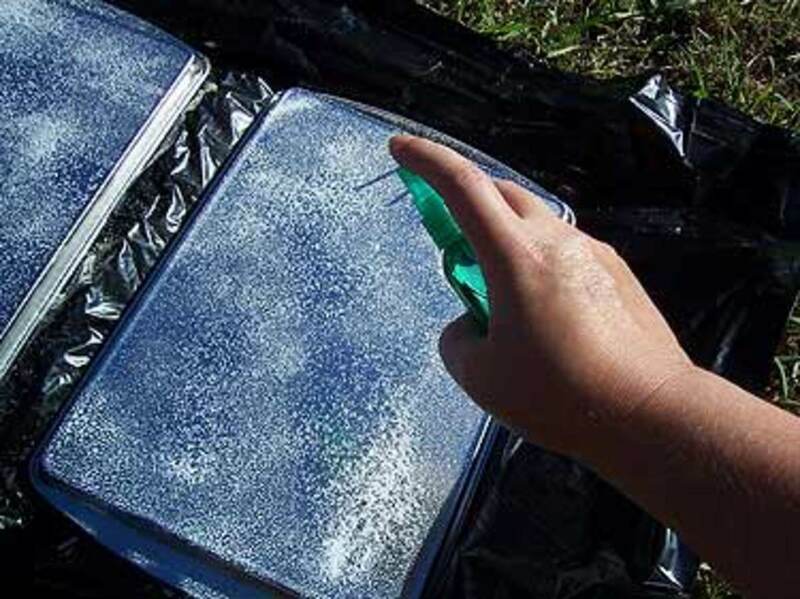 Place the metal sheets on a plastic surface, and fill spray bottles with whichever liquid you’ve chosen. 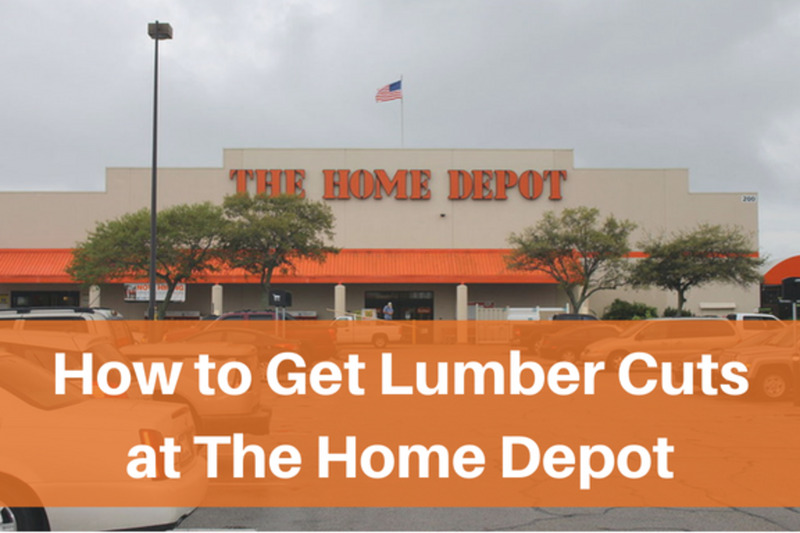 If you can work outside on a sunny day, the heat will help speed the rusting process a bit. 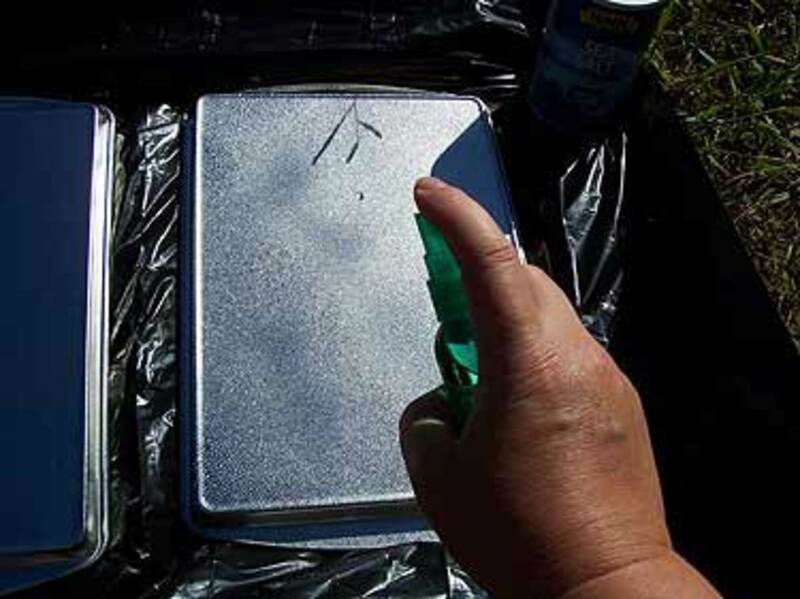 Start by spraying an entire sheet of metal with a coat of liquid. Make sure to cover the whole metal surface. Sprinkle salt over the liquid. I did this by hand for my first few plates, but now I use a recycled salt shaker. The more salt you use, the more pitted and uneven the rust will be. Spray the salty surface with liquid again. Let it sit, but don’t let it dry out completely. Mist it with liquid whenever it looks dry. Watch for rust to start as a sort of pale caramel color. With vinegar, mine started in just a few hours. With water, this might not happen until the following day. Keep misting the metal until the rust starts showing up as caramel-colored patches. 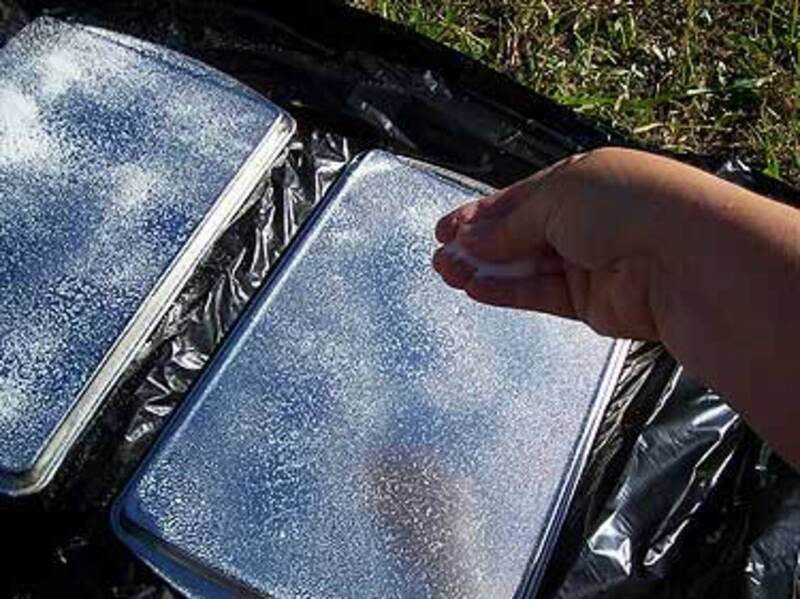 Now’s a good time to stack the plates after a good misting of liquid, and let them sit overnight. After a couple of days of misting every few hours and stacking overnight, a good layer of rust will form. This looks a little blotchy, but after being used once or twice, the rust will be solid. Once you're happy with the way the plates look, and are ready to put them to use, simply rinse off any salt that still remains. Don't bother drying the plates. Just stack them while wet until you're ready to use them. Here are my finished rust plates, ready to make paper. I have a stack of 24 plates, because when I make paper, I want a lot, and I want it now. 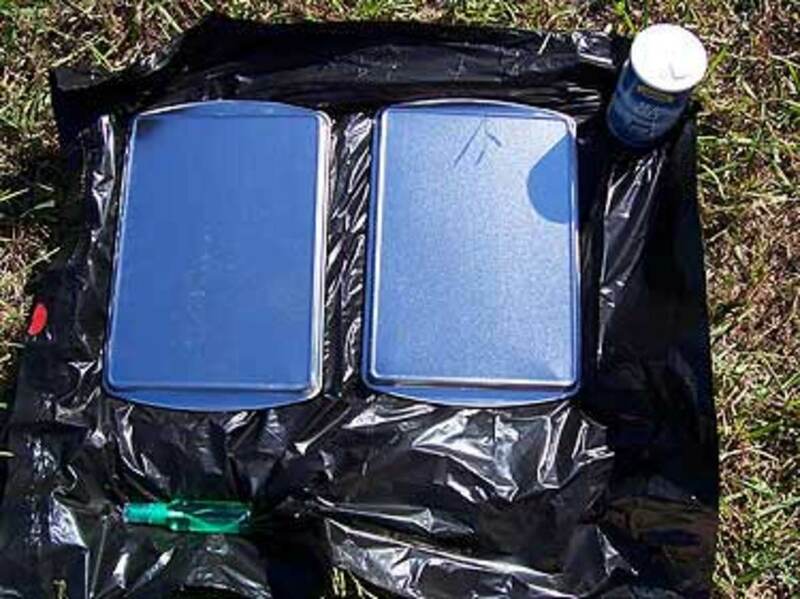 You'll need at least two plates to start rusting papers and fabrics. It's faster to make a bunch of them at once. 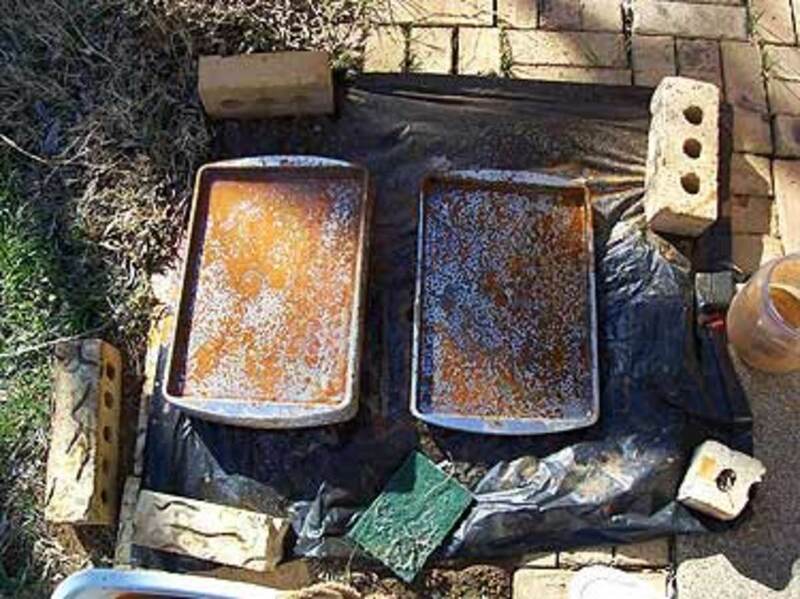 Now that you have a stack of rust plates, you can use them to make your own rusted papers. 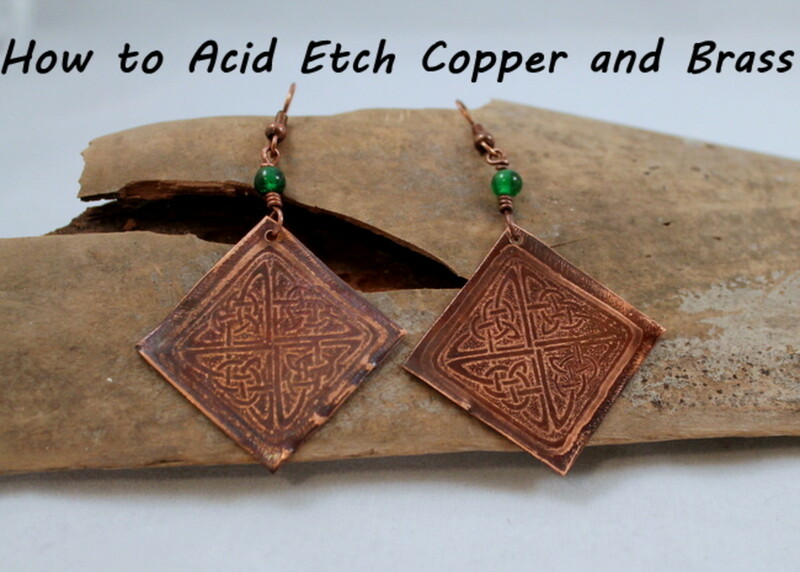 Please read How To Make Rusted Paper for step-by-step instructions on how to use your rust plates to rust papers. This article originally appeared in the March 2009 issue of The Monthly Muse. Because Arachnea asked in a comment what the use might be for rusted paper, here's a set of altered book pages, made using some rusted pattern tissue. Rusted papers have a unique look that really can't be replicated by manufacturer printed papers, or even laser prints of photos of rust. 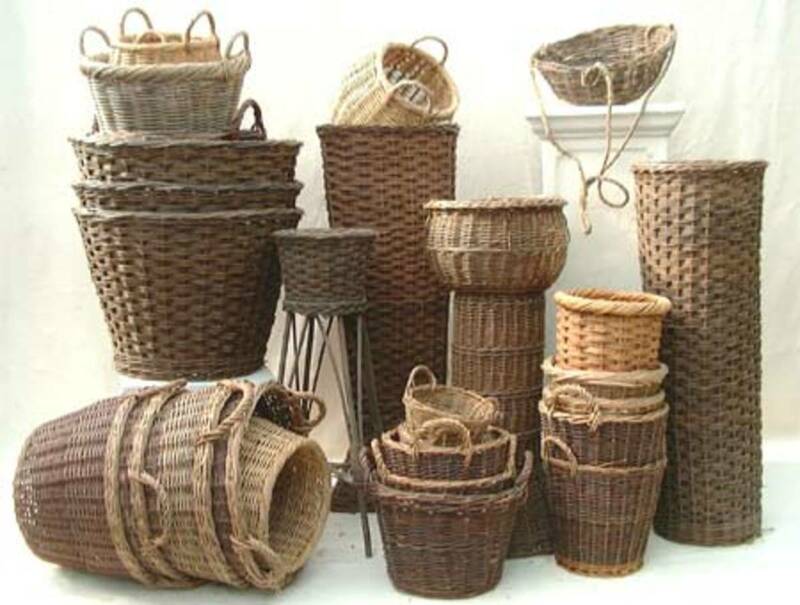 They have a color and texture that brings a subtle, organic sort of visual interest. If only I could get my rust plates to rust at this speed! Oh, I do like the look of the rusted paper. This is certainly useful for making pages 'look' old. I love the look of the example you posted. I wouldn't mind giving that a go myself. Voted up and across on this interesting hub. This is really creative and I love the effects this can create. We have a small iron sculpture of a dog that is now covered in rust. That was the artist's intent and why it is referred to as "Junkyard dog." I can think of a few good uses for the rusted paper look. Vintage looking photographs, scrapbook covers, and cards. This is a well written article and the directions are well done. Thanks for sharing! Congratulations for HOTD. very interesting. 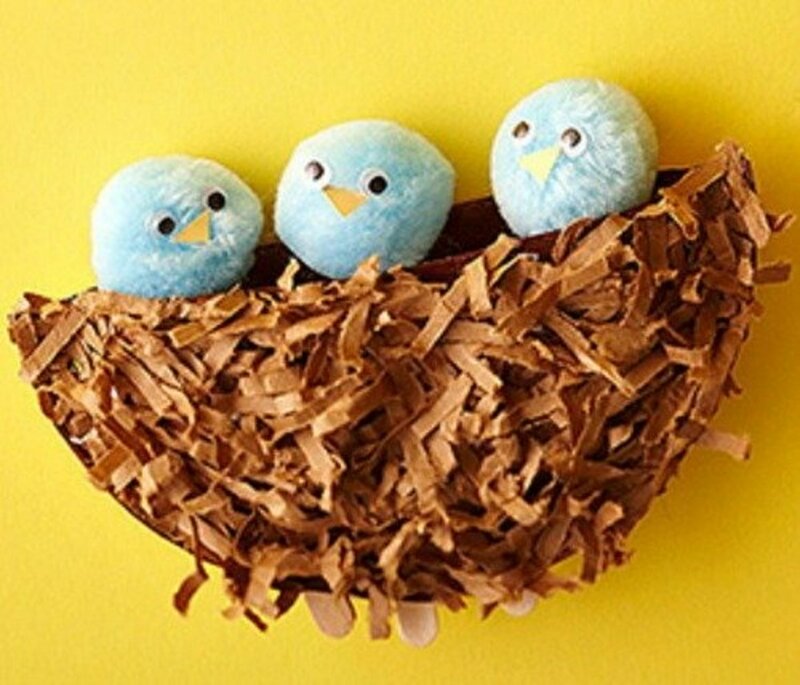 Sorry to see you are leaving HubPages. All the best on your new venture. Rebar! That stuff makes excellent, vibrant rust. I wish I could roll those rods out into sheets, The color is brilliant. Congratulations on the HOTD! I did not know that you can rust a plate unnaturally. I mean that I can make it rust. I have a plate which is rusted and I´m still finding a way to get rid of the rust. That rusted paper above is beautiful. Thanks for sharing. Well, this is the most unusual hub I have ever read. I knew nothing about rusted paper or fabric. I didn't even know it was a type of art. Some of my cooking sheets rust on their own and I've had to get rid of them, but now I know what to do with them. LOL! Thanks for an interesting and informative hub. Congratulations on HOTD! This was so interesting. I had never heard of rusted paper. Thanks for expanding my knowledge. Very well done--your instructions were complete and easy to follow. Congrats on Hub of the Day - Well Deserved! Creative hub. Enjoyed the idea. Interesting LisaVillrath! I would have never thought of this simple process to rust plates. However, the danger it poses to humans outweighs me trying to rust plates on my own to make rust paper. I'd rather purchase rust paper! 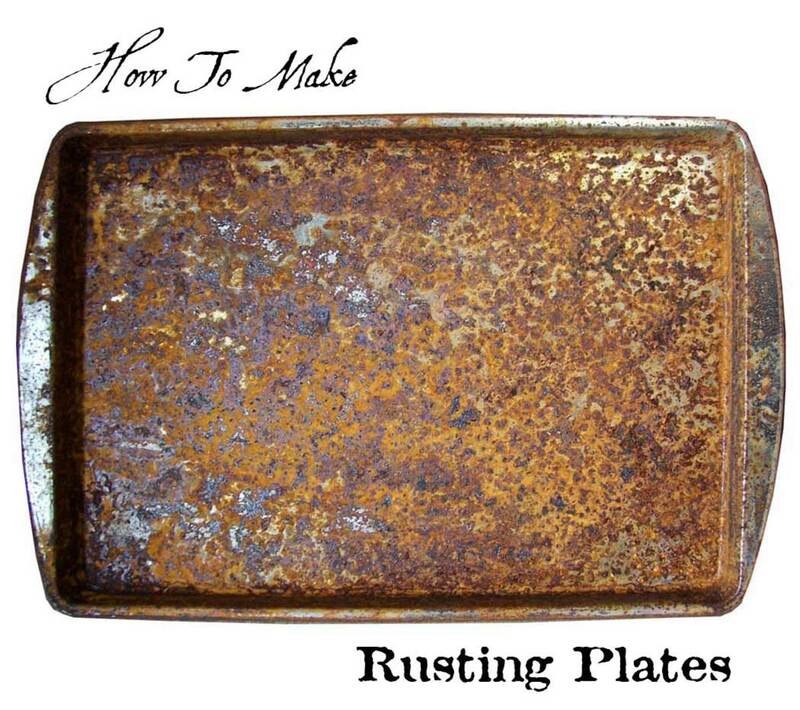 I did not fully understand the purpose of making rusting plates until I continued with reading your related article on “how to make rusted paper.” These simple step-by-step instructions are supported with clear photos. We were usually concerned with how to get rust off solid metal parts and appliances, and now I have learned one other beneficial use of rust. Congrats on Hub of the Day! You're welcome. Sounds like something I could use for making paper beads and graphics backgrounds. Arachnea, that's a good question. Rust paper is something I use in altered books and journals. The look of it is unique, and not easily replicated in printed papers, or print outs of rust. Maybe I should add a couple of images to this hub to show that. Thanks for the nudge! Very well explained process. Great hub. I'm a bit dense, unfortunately. Why would anyone want to rust things? What would be the application for rusting say paper or anything else? I apologize if I missed this in the reading. Besarien, you can rust fabric, but I'm not sure you'd want to rust a t-shirt, which would need to be laundered each time you wore it. I've seen scarves, though, that are really pretty. I do have rusted paper in my house, in plastic bags, stored in a metal filing cabinet with no problems. The rusted paper is amazing. Id it safe to bring back into the house? Or is this something you send to someone you don't like- just kidding! :) The first question was serious though. Can you rust a t-shirt? Super interesting. I read this while hopping hubs a few days ago and had to pop by to comment when I saw it again today. Voted up. Dolores, at the end of the rusted paper article, there's a video showing how to rust fabric. You basically soak the fabric in vinegar, and then wrap it around rusty items. If you made a stack of these rust plates, you could simply wrap your fabric around a series of them to get rusty fabric. Awesome! Thank you so much for answering. I can't wait to experiment with this. The colors are so distinctive, usually only seen in very old things. Rhonda, I think trying to draw a specific image using this rust technique might be a lot like juggling squirrels: sounds great, but in practice, it's very hard to keep everything going where you want it to go. However, you could do a rust painting using Instant Iron and Instant Rust from Sophisticated Finishes, to isolate where the rust appears. This is awesome. I just read about how to do the papers first and then had to come see how to make the plates. I have a crazy question, typical of me. Have you ever tried to do graphics or pictures in rust on the plates? Is there any way to isolate the rust or will it just spread willy nilly every where? I'm seeing a trip to the flea market for old cookie sheets in my near future.